The right snowboard for you is one engineered for the terrain you like to ride. 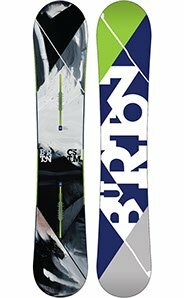 Our goal at Mountain Sports of Angel Fire is to help you understand the types of snowboards out there and how to make a wise choice. All-mountain: Performs anywhere on a mountain—groomed runs, backcountry, even park and pipe. All-mountain boards may be directional (meaning downhill only) or twin tips (for riding switch, meaning either direction). Most boarders (perhaps 90%, and maybe 95% of novices) ride all-mountain boards. Because of their versatility, all-mountain boards are good for beginners who are still learning what terrain they like. This category is sometimes referred to as all-mountain/freeride. Freestyle/park: Light, short, flexible snowboards with twin tips that excel when grinding rails, jibbing boxes or hitting jumps, spins and tricks. Some offer heavy-duty edges and bases that can absorb a beating from rails and tree trunks. Good for boarders who want to push their limits in terrain parks; not so good for stability or cruising fast on hard snow. 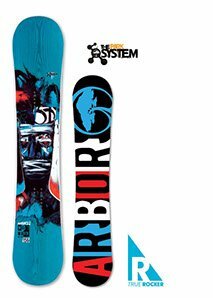 Wide: Extra-wide versions of all-mountain boards, freestyle/park boards and other snowboard styles designed for riders with large feet (men U.S. size 11 and higher; women size 10+). Freeride: Primarily designed for off-piste (backcountry) terrain—riding the steeps, in chunder (erratic, clumpy snow) or on powder. Also good for traveling fast top-to-bottom on groomed runs. Whether you are a beginner, left your equipment at home or want to try something new, renting at Mountain Sports is the fastest and easiest way to get on the snow. Our highly trained staff will set you up with the right board for your riding type and ability. Mountain Sports rental shops and demo center carry all the latest name-brand snowboard rental equipment, as well as the latest high-performance gear for skiers and riders. For added convenience and piece of mind, Mountain Sports of Angel Fire provides full tune and service checks on all rentals on return and can service your personal board at very reasonable rates.